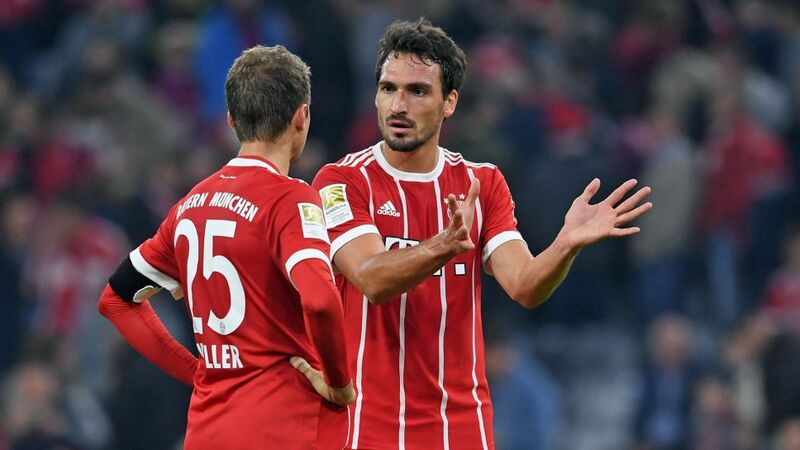 Bundesliga | Bayern Munich's Mats Hummels on draw with Wolfsburg: "We were rightly punished"
Bayern Munich's Mats Hummels: "We were rightly punished"
Bayern Munich's 2-2 draw with Wolfsburg on Friday means the Bavarians are off to their worst Bundesliga start since the 2010/11 season, when they ultimately surrendered the title to Borussia Dortmund. The champions were leading 2-0 before a Maximilian Arnold free-kick was fumbled by Sven Ulreich, with the Wolves eventually battling back to share the spoils. Question: Mats Hummels, Bayern drew 2-2 after taking a 2-0 lead. How do you explain such a game? Hummels: We have to look at the goal to make it 2-1 separately from any other tactical factors. After that goal we had big chances and could have made it 3-1. We really wanted to put more pressure on and get the game under control again. We pressed hard but our combinations weren't at 100 per cent and Wolfsburg could get free. Wolfsburg had two big chances, maximum. In the 90th minute I had a great chance to make it 3-2, but it didn't happen. We were punished and it's somewhat justified. Question: Do you now need to build up Ulreich's confidence? Hummels: I don't think so. I've played against him since I was 12. We all make mistakes, I make mistakes. Sometimes you give a chance away or concede a goal. He played really well at Schalke [a 3-0 win on Matchday 5] and also earlier in the season. Of course, it's annoying for him and for us, but that happens in football. On Tuesday he was rightly praised. Today, the goal for 2-1 was a bitter thing. We'll certainly build him up a bit, but he doesn't need it that much. Question: After starting the season with two wins in the Bundesliga [over Bayer Leverkusen and Werder Bremen], there was a loss to Hoffenheim [2-0 on Matchday 3]. This was followed by two convincing wins, but now there was a setback against Wolfsburg. Where are Bayern currently? Hummels: This is everyday business. In the last two games we were approaching the level we want. Today we were a bit further away. If we play a great game again on Wednesday everything will be alright again. Of course you can say that we've not always played the way we want, but it's not all bad. Question: Is Wednesday's game more difficult with it being in Paris? Hummels: An away game in Paris is one of the five hardest games in Europe, and therefore the world. This will definitely be a very difficult task which we'll approach with the right motivation and attitude. Such a game can hang on the smallest things - let's see what's going to happen on Wednesday. Question: With what mood do you go to the Oktoberfest on Saturday? Hummels: We're all disappointed, of course, but the mood will be different again on Saturday. We're probably already looking ahead to Paris. But since I don't drink too much beer anyway it doesn't change much for me.